Before the Admiral: The vanishing statue of William Blakeney. | Come Here To Me! Before the Admiral: The vanishing statue of William Blakeney. While many Dubliners are aware of the fact the site of the Spire today was once occupied by Nelson’s Pillar, what stood there before the Pillar is a mystery to most. Given the manner in which the Spire is often ridiculed and its merit debated by the locals, I’ve always liked the fact Nelson was quite controversial too in his day. Yet even before Nelson the site was occupied by a monument of a military figure, which went up on Saint Patrick’s Day in 1759. Fittingly, given the history of the site, it seems Dubliners were eager to vandalise and attack it. Long before Admiral Nelson, a statue of William Blakeney (1st Baron Blakeney) stood in the centre of Dublin’s Sackville Street. It was placed there by an organisation known as the Friendly Brothers of Saint Patrick, who made the decision in 1756 to honour Blakeney with a monument, in praise of his defence of Port Phillip in the island of Minorca against French attack in that same year. At the time Blakeney was serving as Lieutenant Governor of Minorca, but the Limerick man had a long military career behind him, and had even served in the Irish House of Commons. 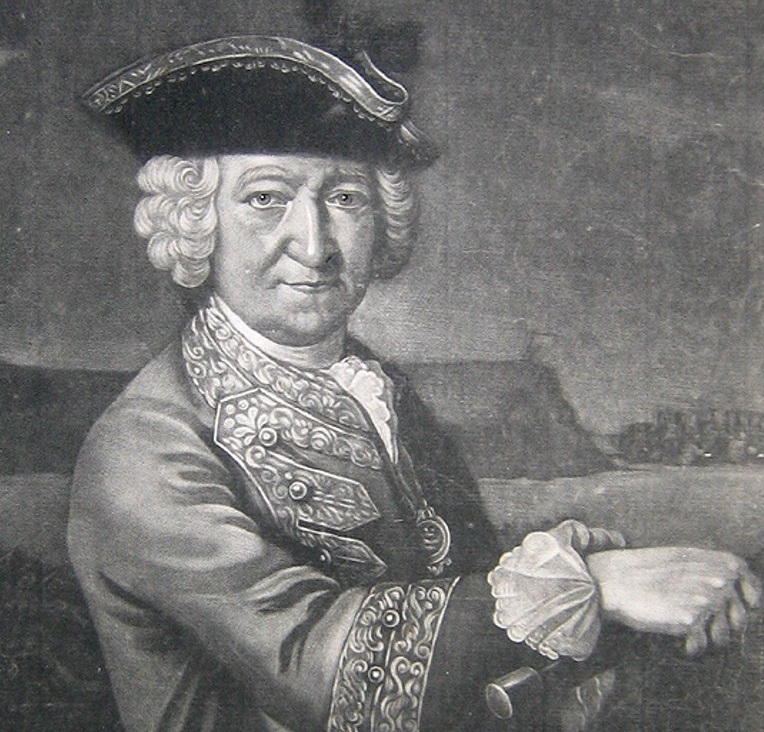 He had been given the freedom of Dublin by the Corporation in 1757, indicating the respect for him at the time. The Friendly Brothers of Saint Patrick, who erected the monument, were a very interesting organisation in the Dublin of their day. Described by Robin Usher in his work Protestant Dublin, 1660-1760: Architecture and Iconography as “a masonic fraternity that opposed duelling and aimed to promote social harmony among the respectable, Catholics (nominally) included”, the Friendly Brothers of Saint Patrick frequently met at the Rose Tavern, which was one of the most notable taverns of Dublin. J.T Gilbert writes about it in his history of Dublin which was published in the late 1850s. He states that it stood on the north side of Castle Street, and that “This establishment continued in fashion from the first part of the eighteenth century to about thirty years before the Union.” Gilbert gives great detail of the customs and styling of the order, noting that the members wore “Gold medals, suspended from a green ribbon, bearing on one side a group of hearts with a celestial crown”, and with the motto ” Quis separabit?” upon them. This translates into ‘who shall separate us?’, and in more recent times the motto has been associated with sections of the Loyalist community in the north, as it was adopted by one Loyalist terror group. 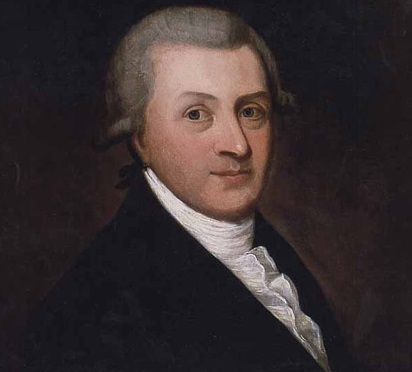 Arthur Guinness was very involved with the Friendly Brothers of Saint Patrick, at one point serving as Secretary. Arthur Guinness, brewer and one-time Secretary of the Friendly Order of Saint Patrick. The entry on Van Nost in the classic A Directory of Irish Artists (1913) gives great detail of the ceremony that unveiled the statue on Saint Patrick’s Day in 1759. The pieces quotes from an article published in Pue’s Occurrences magazine in March 1759. It seems that following the unveiling of the statue, the Friendly Brothers of Saint Patrick returned once more to their haunt at the Rose Tavern. Last Friday evening the fine Brass Statue of the Right Hon. Lord Blakeney, Knight of the Bath, richly gilded and done by Mr. Van Nost, was carried from his house in Aungier Street, and erected on a superb white marble pedestal in the centre of the Mall in Sackville Street, and Saturday, being St. Patrick’s Day, the anniversary festival of that Patron of Ireland, the Grand Knot of the Ancient and Most Benevolent Order of the Friendly Brothers of St. Patrick, assembled in the morning at the Rose Tavern in Castle Street, and, according to annual custom, walked in procession to St. Patrick’s Cathedral, where they heard a sermon preached by the Rev. Mr. Benson; after which they proceeded to the Mall where that curious figure was unmasked in the presence of that illustrious body, and amidst unnumbered spectators, amongst whom were many travellers and competent judges of statuary, who declared this performance to be equal, if not superior, to any piece of the kind in Europe, not only for the strength and judgment expressed in the likeness of the brave old original, but also in the beauty and elegance with which the drapery and armour is executed, and which will be a monument to perpetuate the memory of the noble veteran whom it represents, as well as a lasting honour to him and his native country at whose expense it was erected, and which produced a member so worthy of such a reward for his valour, integrity and unshaken fortitude in his eminent services to the King and the public. After the statue was unmasked the Society returned to the Rose, where an elegant entertainment was prepared for their reception. This statue was all the more remarkable considering its subject was still alive, with Blakeney dying in September 1761. This was also the first statue erected to the honour of an Irishman in Dublin, though it would fall victim to frequent attack, thrown down from its pedestal and greatly damaged in 1763. Indeed, the monument was so badly damaged it had to be taken away at the time. Just when the statue was removed once and for all is somewhat unclear, but an article in the Hibernian Magazine in 1783 refereed to it in the past-tense, noting that there “formerly stood a pedestrian statue of General Blakeney” at the site, but “what became of it we know not.” Robin Usher has suggested that perhaps the Friendly Order of Saint Patrick did not “attempt to make good the damage”, and that the vandalism to the monument so soon after it was erected may have removed it from the streets for good. A 1926 article in the Irish Independent on this mysterious statue claimed that “it was taken to the brass foundry at Clondalkin and melted down to make cannon”, but I haven’t found a reference to this elsewhere. It seems like Admiral Nelson was doomed from the start! The 88th Foot or Connaught Rangers which were raised by The Earl of Clanrickarde in 1793 used “Quis Separabit” as it’s motto. I believe they were the first Irish Regiment to use that motto. The Ancient and Most Benevolent Order of Friendly Brothers of St. Patrick was founded in Athenry, County Galway in 1750. It is still in existence. It has nothing to do with the Order of St. Patrick which is a Royal Order. I’m not sure the reply registers…in any case, Blakeney was appropriately honored- he was deserted by Admiral Byng, who was later hanged for his role. I am a proud descendant of the family of Lord Blakeney. 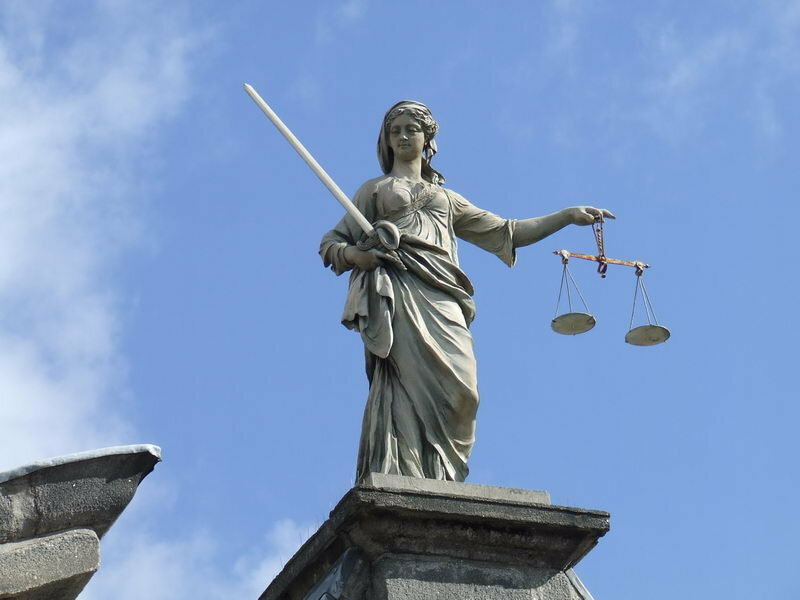 on July 5, 2015 at 12:22 am | Reply Arthur Guinness and his Right2Water | Come here to me! It’s late. I’ll study this tomorrow! The full story of this statue is found in Fine Brass & Richly Gilded: van Nost’s lost statue of General Lord Blakeney (2018) available from Irish Georgian Society shop, St William St.